The Urban Nomads: Grand Savings Update! Okay, so yesterday was payday, and so that meant that it was a busy day for me. 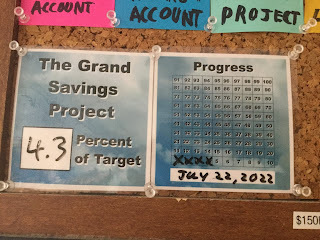 There was not only running around but also finalizing my budget. 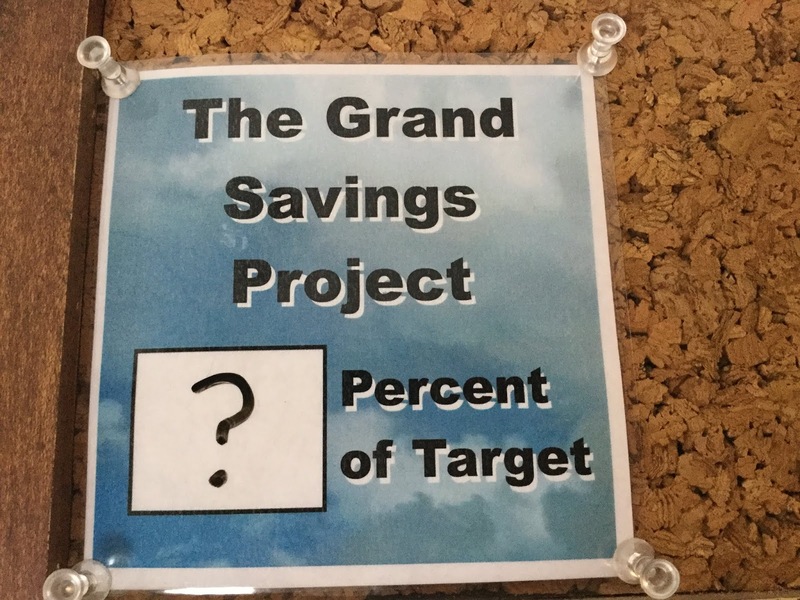 This also includes adding to my savings in my Grand Savings Plan! So, let’s see how I did. For review, here is how things looked from last payday . 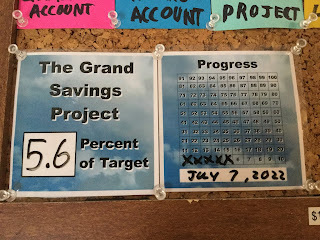 . .
With all of my budgetary magic, here is what it looks like now! 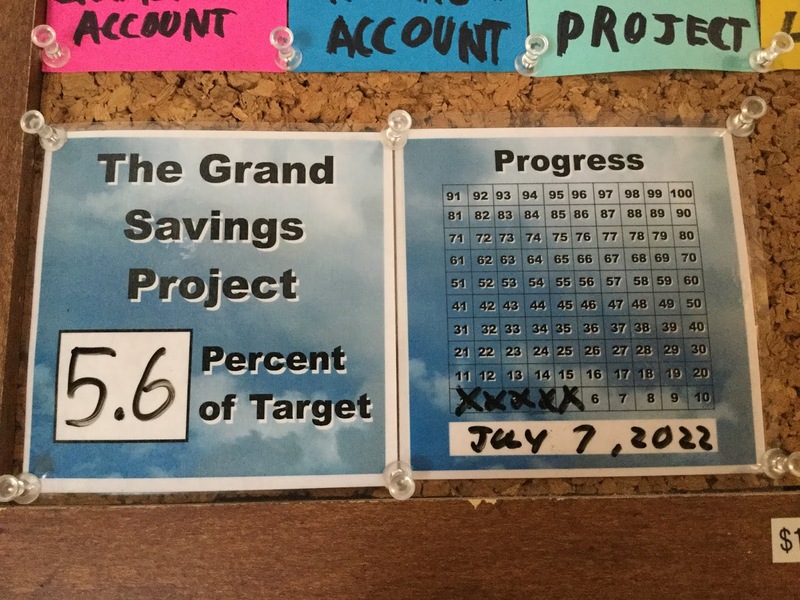 So, not only did I cross over the 5% mark (at 5.6% towards my savings goal) but I also moved the estimated “Done Payday” up (as in one payday sooner). 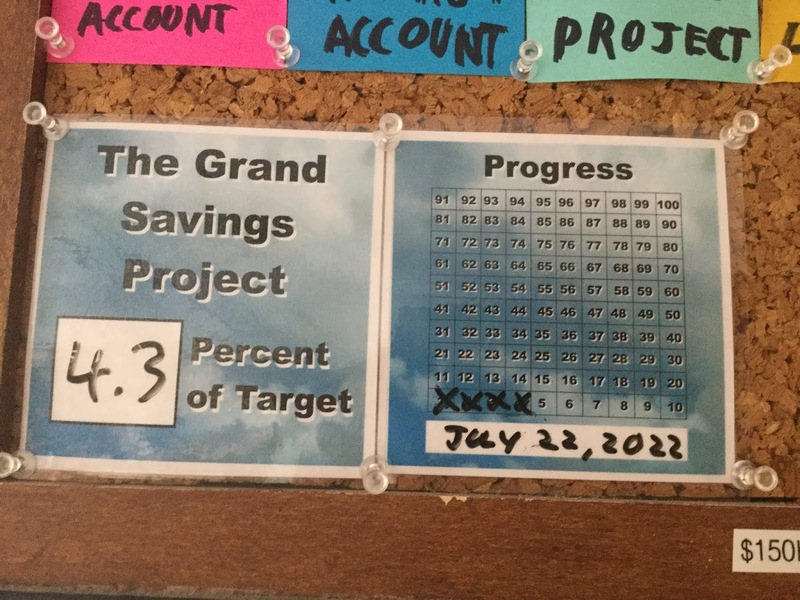 The “Done Payday” is the payday I can conservatively say that I will be done this savings project. (As in put what I want to into savings). Another thing of note is that it looks like I will be out of my Personal Overdraft come next payday, as well as put fully fund my Mid-Term Account. It has taken me a long time and a lot of hard work and sacrifice to get to this point. This savings plan is in essence me paying off one last debt . . . to myself. Yet, there is a long road of me.